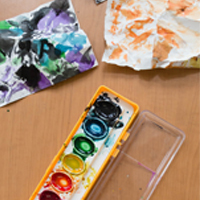 Children make and decorate monthly themed crafts with their own personal touch, using and developing fine motor skills. Registration required for child only. Ages 3-5 only please.